which connects to the library. 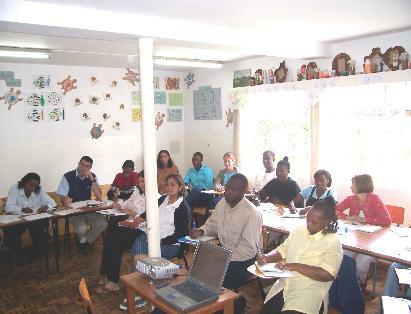 Education training program by Mr. Juma, a representative of the Kenyan Ministry of Home Affairs. 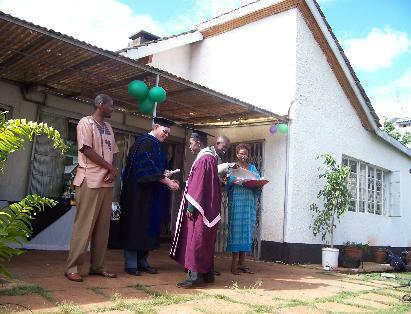 Marvin, a graduate of Acorn school, receives his certificate. Graduates of the Acorn Diploma program in Special Education. 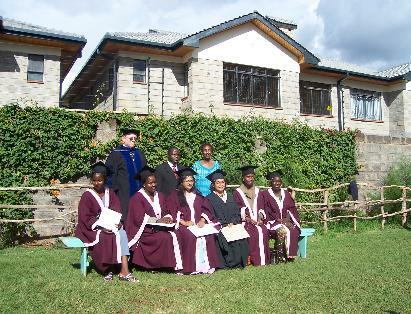 Back row: Dr. Anderson, Mr. Juma, and Eva Nyoike. schools in the Nairobi area were in attendance. building, a project for which my home congregation in Minnesota provided some financial assistance. Possible future expansion of training and ministry in Kenya came in meeting the directors of Premese Africa Development Institute, Dr.
classroom teachers develop skills to work effectively with students who have special learning needs.